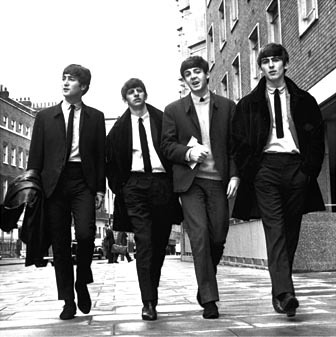 Beatles FAQ: What was The Beatles first single? What was The Beatles first single? George Martin wanted The Beatles first single to be How Do You Do It, a Tin Pan Alley song which he felt had commercial potential. I was convinced that How Do You Do It was a hit song. Not a great piece of songwriting, not the most marvellous song I had ever heard in my life, but I thought it had that essential ingredient which would appeal to a lot of people. The problem was that George Martin was not impressed by their songs at this point. But he did allow them to record LOVE ME DO - the song he considered the best of a bad bunch of Lennon and McCartney compositions. The first (test) session took place at Abbey Road in June 1962 - and it proved a very unhappy one for then Beatle member, Pete Best. George Martin had reservations about his drumming and this became the reason/pretext for sacking him. By the time of the second session, in September, Best had been replaced by Ringo Starr. George Martin was apparently equally unimpressed with Ringo, who was relegated to playing the tambourine. A session drummer, Andy White, was brought in to play drums on what became The Beatles first single. But the two other recordings - one with Pete Best and one with Ringo remained in existence. 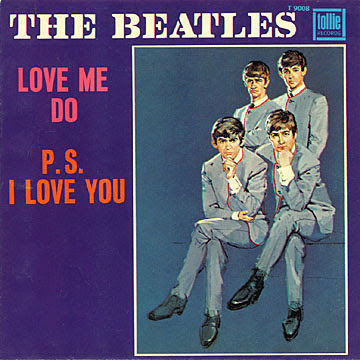 LOVE ME DO was released on October 5, 1962. It performed very modestly in the UK chart, reaching number 17. An initial US release in February 1963 also had little impact. Did Pete Best receive royalties? Not for thirty-three years. There were various re-releases but the first to use the Pete Best version did not appear until the release of Anthology 1 in 1995. This finally gave Best financial reward for his five years as a Beatle.